Our main character is married with a wife and family, and his life should be everything he wants. However, he’s somehow unsatisfied with his life. That is, until he ends up in a class for ballroom dancing where he discovers a passion he never realized he had. However, he has to hide it from those around him, reasons differ depending on country. This movie has two versions, a Japanese subtitled version, and an American remake. I first watched the American, and then the Japanese. If you were to watch one, I’d pick the Japanese, but having watched both, this talks about both collectively. Why I picked this up: I can’t dance worth crap, but I love watching it. My sister wanted to see the Japanese version. Why I finished this: Freaking gorgeous, interesting characters, a nice slice of life. Who would I give this to: Fans of dancing or aesthetically pleasing films. In the Japanese version, it does a great job of portraying every day Japanese life. Any complaints: It’s slow to start and a little boring in parts. While it depends on the person, I personally don’t like slow films. 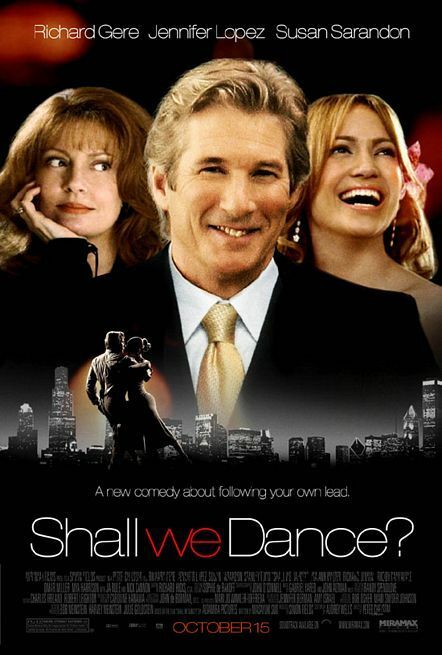 The main difference between the Japanese and the American version is that the Japanese version focuses more of the main character and his non-romantic relationship with the distant ex-ballroom dancer, while the American movie builds the side characters. There are also cultural differences between the two societies, and the Japanese version feels more natural. Also, it’s evident that the Japanese version has better acting while the American has more complex story telling. Other then that, the two films are eerily similar. Rating: 3/5 Stars. I liked it. 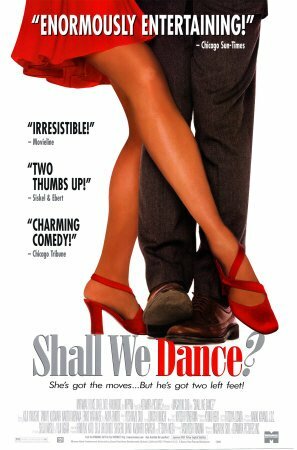 Tagged as 3/5 Stars, Shall We Dance?